Having recently become a mother myself, these verses made a much greater impact on me during my most recent reading of the Book of Mormon than ever before. Women in scripture are often background characters (when mentioned at all), so passages like these are precious even though they are short and simple. I greatly admire the strength of Sariah and the Nephite women, and I love the image of these few women banding together to support and minister to each other through their trials. 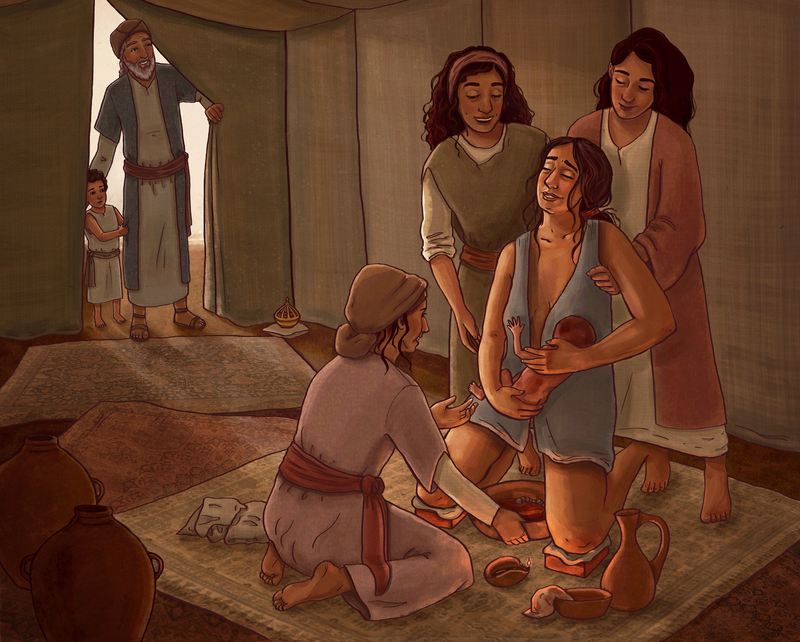 The birth of their children, while very difficult, would have also been some of the moments of greatest joy during these years in the wilderness.